Veneers are popular in Hollywood for a reason – they’re aesthetically pleasing, restore smiles, and improve bites. In the Financial District, Lower Manhattan, New York, the dentists at PDADental provide veneers to cover the front surface of chipped or broken teeth. Veneers are a reliable and lasting option that strengthen and protect your teeth and improve the look of your smile. If you’d like to learn more about veneers, call PDADental or book online today. Veneers are an effective dental option designed to cover the front surface of your teeth like a shell. During a cosmetic in-office dental procedure, your PDA dentist permanently cements these porcelain sheets to your teeth to improve your smile. If you take care of your veneers properly, they’re a long-lasting solution. Your PDA dentist can help you figure out if veneers are the right dental treatment for you. 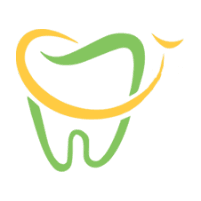 To be a suitable candidate for veneers, you must have enough tooth enamel for the veneers to bond to. The first step is usually X-rays. Your PDA dentist might need to remove a minor amount of tooth enamel to prepare your tooth. Your PDA dentist then creates an impression of your teeth and mouth and sends it to a dental lab. You’re given temporary veneers to wear in the interim. When you receive your permanent veneers back from the lab and you’re content with how they look, fit, and feel, your PDA dentist permanently cements your veneers to the front surface of your teeth. Your teeth are exposed to elements and substances in food that can erode your teeth and wear them down over time. Veneers are a great way to help you restore your natural teeth. You might also opt for veneers if you’ve experienced an injury or trauma that’s caused damage to your teeth. Veneers can chip, but they’re reliable and sturdy. If you take care of your veneers properly, they can last for many years. Multiple veneers can be fitted at the same time for your convenience. Veneers are an affordable option that can be completed in a few quick office visits. Discover the many benefits of veneers by calling PDADental or scheduling online today.